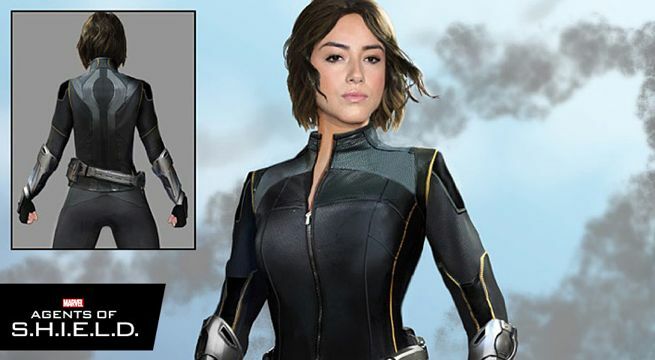 Newly-released concept art for Marvel's Agents of S.H.I.E.L.D. has given fans their best look yet at the new look for Daisy/Skye/Quake. You can check it out above and below. “I think one of the most important things was that the symbol be incorporated into her costume but especially onto the gauntlets,” costume designer Ann Foley told Marvel.com. “And it’s also on the back of her suit, which was a fun little touch that we added. As far as the silhouette, we wanted to stay true to the comics and pay tribute to those original designs. Marvel's Agents of S.H.I.E.L.D. returns on September 29 at 9 p.m. ET/PT on ABC.